A unique resort hotel in Canmore, Alberta. Set amidst the majestic mountains near Banff National Park, the resort offers the unique opportunity to stay in trendy condo-style suites or in upscale hotel-style rooms. 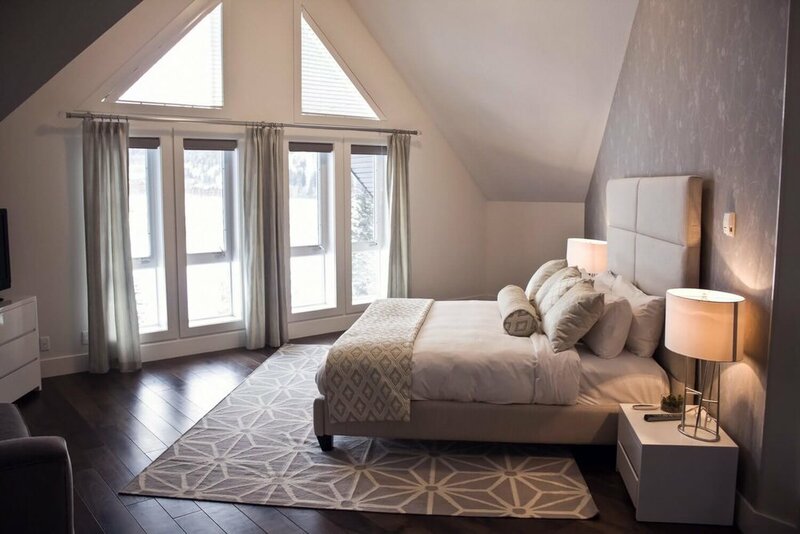 Superbly situated in the Bow Valley of the Canadian Rockies right in the alpine village of Canmore, Grande Rockies Resort is ideal for families, corporate groups or a mountain wedding. The resort also includes an indoor swimming pool with 3-storey water slide, indoor/outdoor hot tub, free WiFi and underground parking. Located in our main resort building, our 1- and 2-bedroom suites are complete with full kitchens. The perfect mountain accommodations for the whole family. 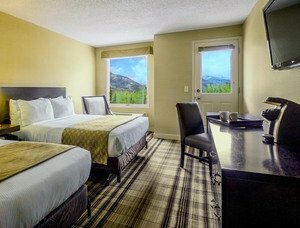 Located in our separate Annex building, these well-appointed traditional hotel rooms are our most economical accommodations, most with a terrace or balcony. Enjoy an elegantly-designed top floor two-storey penthouse. Perfect for large families, groups of friends, bridal parties, VIP hosting, or a mountain honeymoon.